This video recipe also features Canadian interior designer and lifestyle expert, Janette Ewen, with a yummy bread salad. Does your family have a super busy schedule? Are you looking for quick, easy and delicious meals you can prepare in minutes? We've got just the thing! Nearly twenty years after the introduction of the M-Class – a vehicle that revolutionized the luxury SUV market – Mercedes has decided rebrand all the SUVs in its line-up so they all start with the letter G.
Toyota has refreshed its long-time small-sized SUV for 2016 with a few new features and a new hybrid option but this vehicle remains largely the same since its last redesign in 2013. Smashing the old adage that you can’t teach an old dog new tricks… enter the new Jeep Renegade. First impressions will tell you this isn’t your grandpa’s Jeep. 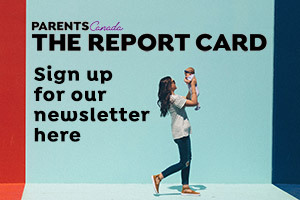 Janice Biehn, editor of ParentsCanada magazine, talks about tips when you go on a flight with a baby. Janice Biehn, ParentsCanada Magazine editor, shows off this year’s top toys on Global News, ahead of the Christmas shopping season. Janice Biehn, editor of ParentsCanada magazine, talks about tips to help teach your children to resolve conflicts on their own.